If I asked you to name three Middle Eastern cuisine, could you? Middle Eastern food has been very unfamiliar to many, like a mysterious belly dancer. Even when I asked my friends to come along for a treat, many declined due to the unfamiliarly with an idea that the fare would taste strange. This has been one of my most ‘magical’ meal this year. Anar at Resorts World Sentosa is like a mini-palace set in a lush rust red tone – with huge chandeliers, Turkmenistan rugs, Moroccan lanterns and Arabic-styled furniture. Beautiful, simply beautiful. 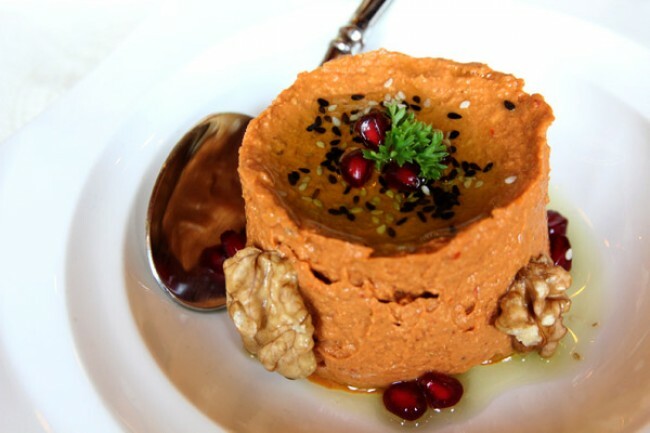 Anar is the Persian word for “pomegranate”, and therefore many dishes are ornamented with the red arils. For starters, I had the Mohammarah ($12), an exotic brick-red dip of thick consistency, extremely delicious when spread on pita bread. The taste was something I never experienced before, but certainly memorable. 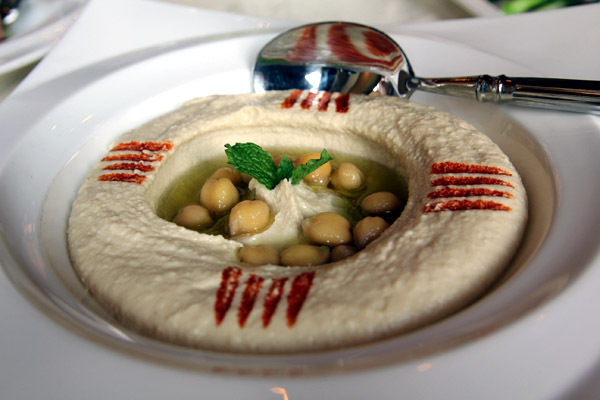 A traditional Middle Eastern starter is the Hummus ($12), made of pureed chick peas with sesame seed paste. Compared to the Mohammarah, it was a healthier tasting dip not as striking. 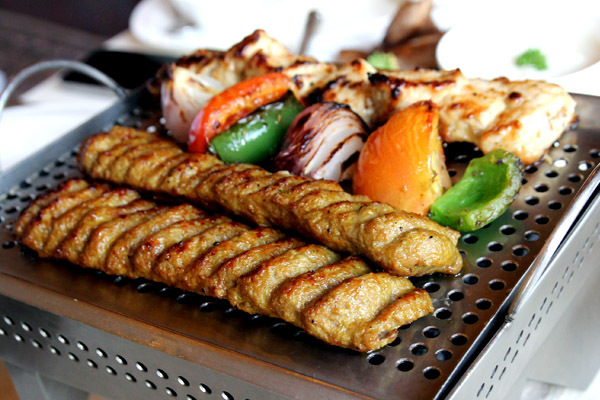 There were times when I felt like a prince, especially when the Shish Taouk ($32) was served. A traditional Babylonian recipe, the chicken breast came aesthetically presented smoking on top of a charcoal grill served with traditional Syrian garlic paste. Every bite of the tender meat was juicy, sometimes exploding with a fusion of savours. 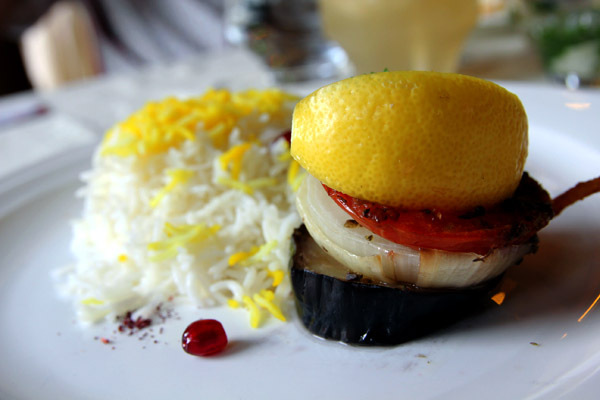 The Chelow Kebab Kubide ($38) – Minced lamb kebab served on a bed of steamed Persian saffron rice “chelow” was even better than the chicken, almost heavenly. 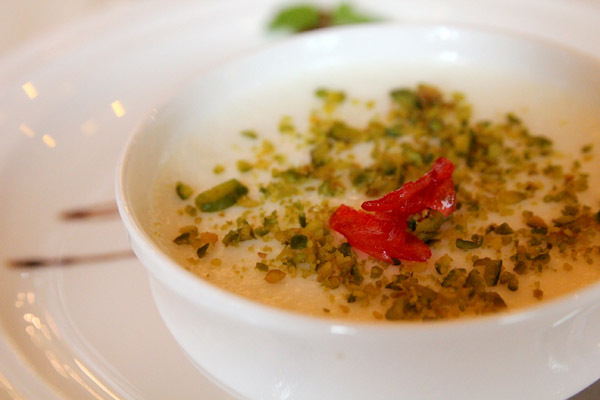 Save some room for the Mohalabieh ($12), a smooth Arabic milk pudding made with sugar and rice powder, drizzled with chopped pistachio. 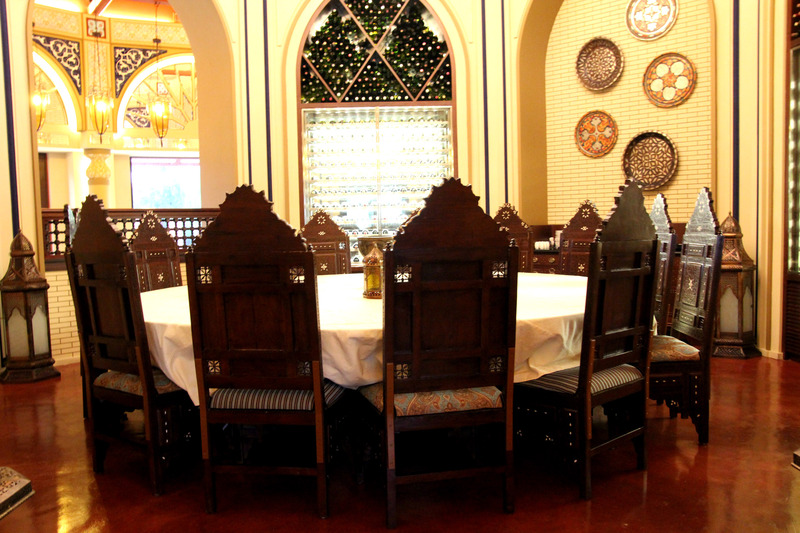 I have new found respect for Anar which recreates that luxurious Middle Eastern dining experience, paying attention to every detail. 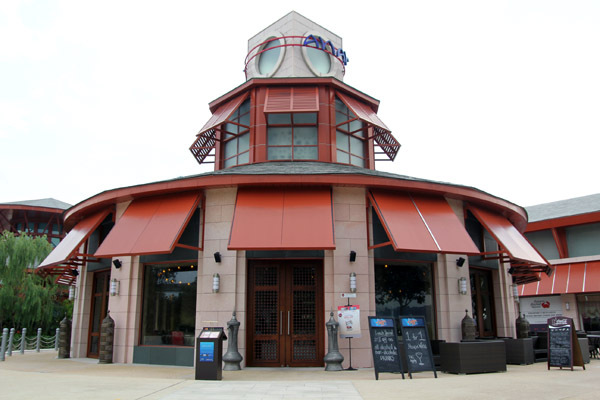 Lunch is estimated at $60 and dinner $80 per pax.